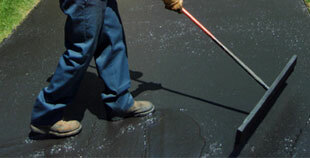 One of the areas oldest and best seal coating services; using only premium grade custom blended sealer. 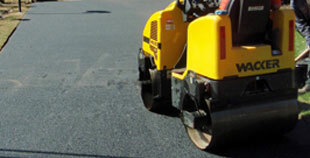 Installing a new driveway; extending an existing driveway or just patching a damaged driveway. 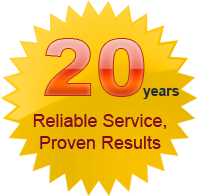 SEAL-A-DRIVE offers experienced advice and top quality service that will last. From driveways, turn abouts, patios, and walkways. 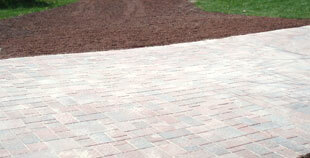 Our hardscape team will create a area that will make your neighbors envious. Over the past year we have continued to upgrade our equipment, train our employees and implement	cost cutting measures without sacrificing the quality of our materials or services. However, we are faced with increased costs relating to labor, equipment, insurance premiums and landfill disposal charges. Hopefully the petroleum industry will remain somewhat stable this year as well. We will continue to subscribe to cost effective service without sacrificing Quality. In the spirit of a desired long term relationship we will keep any increases moderate and well within our industries guidelines. You are valued customers and we look forward to serving you in the coming year. 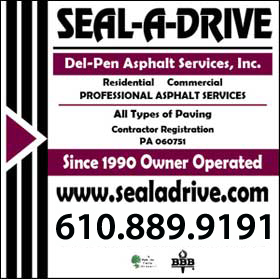 We hope you choose SEAL-A-DRIVE for all your asphalt and concrete needs. If I can be of any further assistance; please do not hesitate to contact us directly. Wishing us all a healthy and prosperous 2011!